Do you love what you do? Are you excited every morning to go to work? 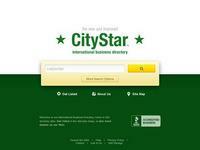 CityStar® would like to invite you to join them in their venture. Help them take the international business directory to the top of the directory space worldwide. They offer free training, a contract as a CityStar® Associate and ultimately, they want you to become an Owner Associate.